at home alone to occupy themselves? holes in your yard, garden or lawn? Does your shoe cupboard need a break from the tyranny that is your cheeky dog? 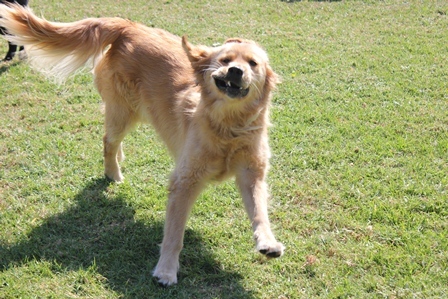 constantly barking through the day when you are not home? If you answered Yes to any (or all) of these questions then Doggy Day Care may just be the solution! 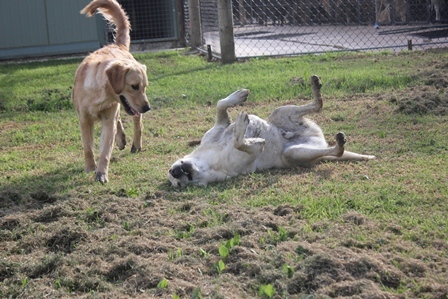 Doggy Day Care is an opportunity for your dog to have a day of play and interaction when you have to be elsewhere! 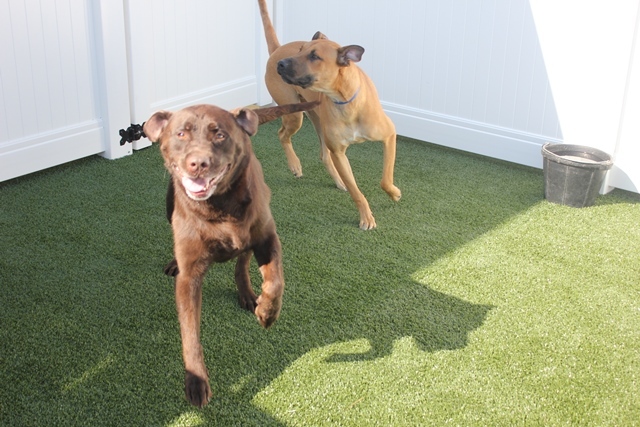 Your favourite furry family member will come and play for the day with compatible friends or with an experienced Doggy Doater in a safe & secure environment. You drop your dog off on your way to work, school or a day trip to the city. 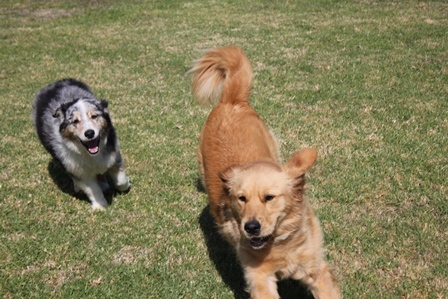 They get a day of play and fun times with lots of exercise and cuddles. You pick up your dog at the end of the day, happy and tired! Give you peace of mind while you are away from home that your dog is safe, happy & having a great day! 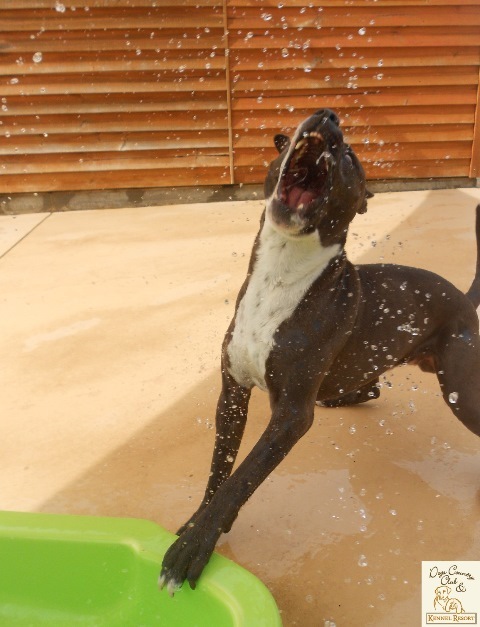 How Does Doggy Day Care Work? 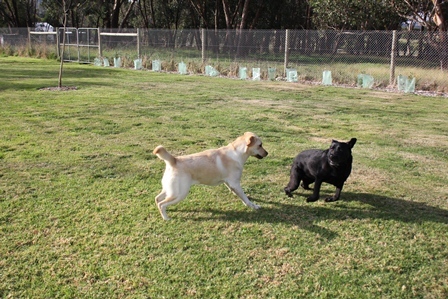 Call our office to register for Doggy Day Care - you only need to do this once! At this time we will speak to you about getting up to date vaccination records - all Doggy Day Care dogs must have a valid C5 Vaccination. Drop off your dog on any of our Doggy Day Care Days - Mon, Tue, Thur or Fri from 7am onwards - no need to book but we would appreciate it. Wednesdays guests must arrive between 7am and 9am. Pick up your dog before 6pm. Wednesdays guests can depart between 4pm and 6pm. Arrive home with a happy and exhausted puppy! What if My Dog Doesn't Play Nice with Others? Unlike Day Care Only facilities we have the capability to provide Day Care for our four legged friends who would prefer to fly Solo! 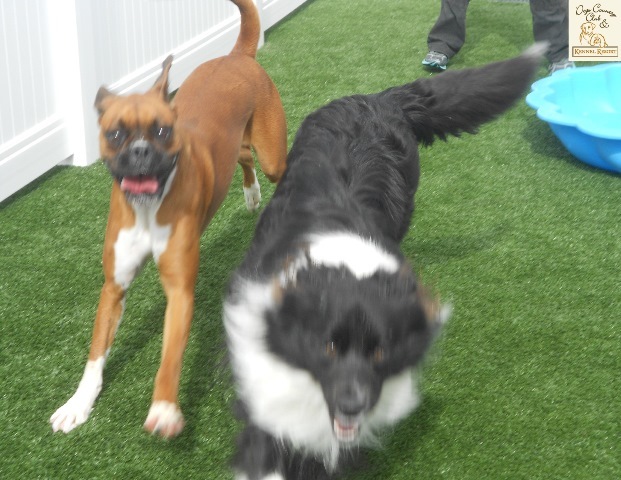 Its called Solo Playtime and this just means that their play time will be with a Doggy Doater as opposed to a group play. Check our information below for Solo Play. When is Doggy Day Care Available? 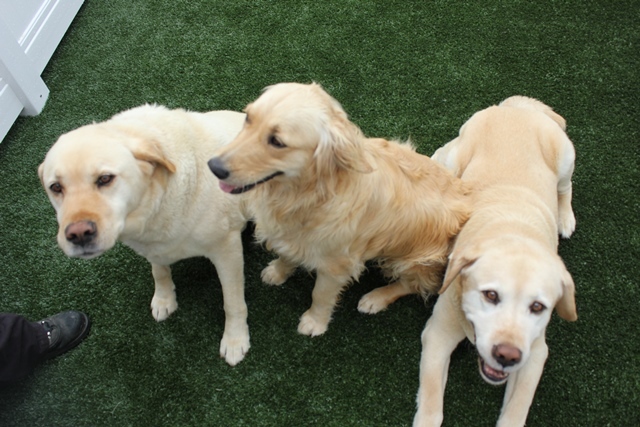 Doggy Day Care is being offered at Dogs Country Club & Kennel Resort during our OFF PEAK PERIODS, weekdays (including Wednesday), from 7am to 6pm. Any dogs picked up between 6pm and 6.15pm with incur an additional charge. Any dogs not picked up by 6.15pm will be placed in boarding and additional charges will apply. Peak Periods are School Holidays and Public Holiday Weekends - for exact dates check our Calendar by clicking here!